Our 25th Season with the Dolphins! The WildQuest Experience Of A Lifetime! 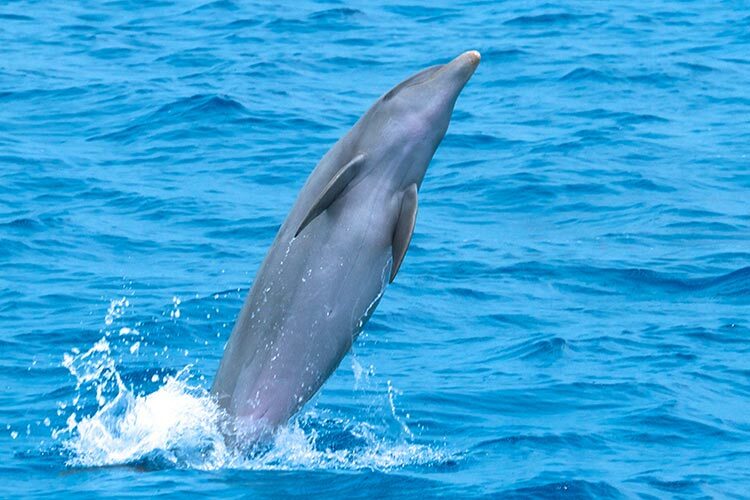 We take lessons from the dolphins and work holistically with the breath, using yoga and other techniques to sharpen our awareness, relax, unwind and fill our bodies with a natural sense of wellbeing. 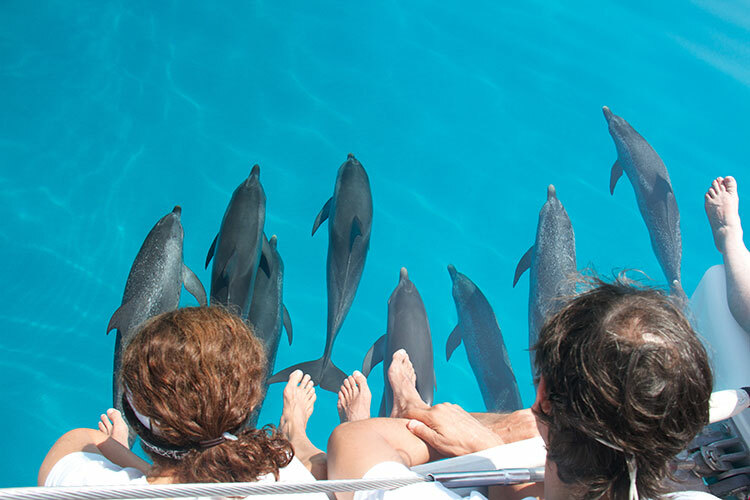 We invite you to come and enjoy these magnificent sentient beings in their own home, on their own terms and to share the mutual joy of being together in the crystal clear, warm waters off the Bimini coast. Nourishing from the inside out! Happy tummies make happy holidays. Our expert cook prepares delicious, mostly organic, healthy meals, and can cater for most dietary needs. It’s a treat to eat outside, overlooking the bay. 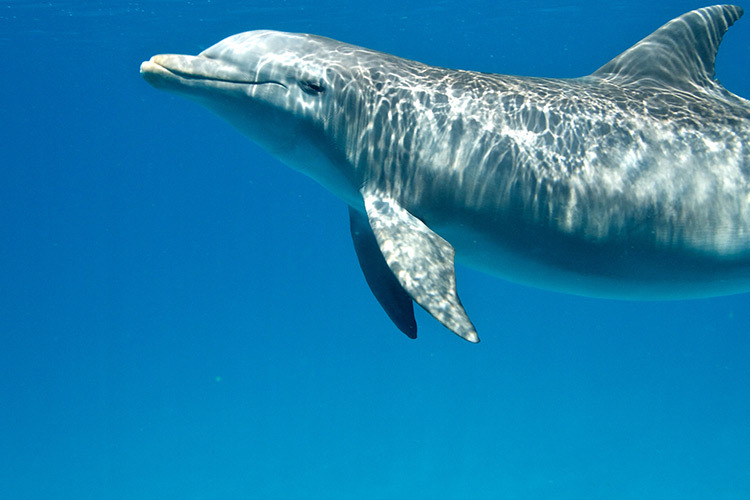 Check dates and prices for all dolphin swim weeks. Meeting a big pod of the dolphins is always a treat. Seeing them socializing together, how they play and seem to care for each other – getting on with their lives. Watching this and feeling their energy brings smiles to our faces and a warm feeling in our hearts. “Love is the Fire” is a song by Miten and Deva Premal and fits right in with the dolphin love. Enjoy. 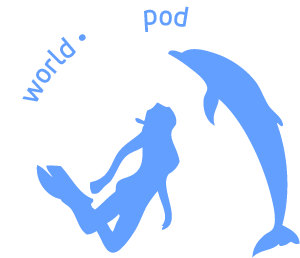 Get the latest dolphin news. I keep going back to Bimini since 2010. 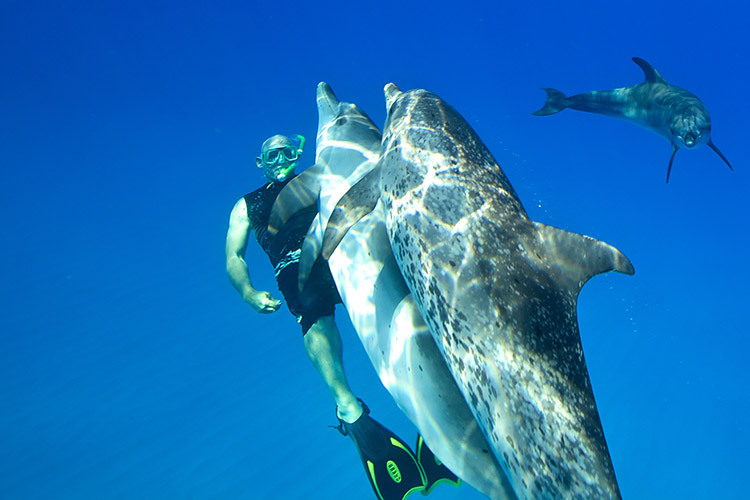 To swim with free dolphins is a magical and transforming experience. The Wildquest Team does an outstanding job. I especially appreciate their respect and awareness for nature as well as for the dolphins. 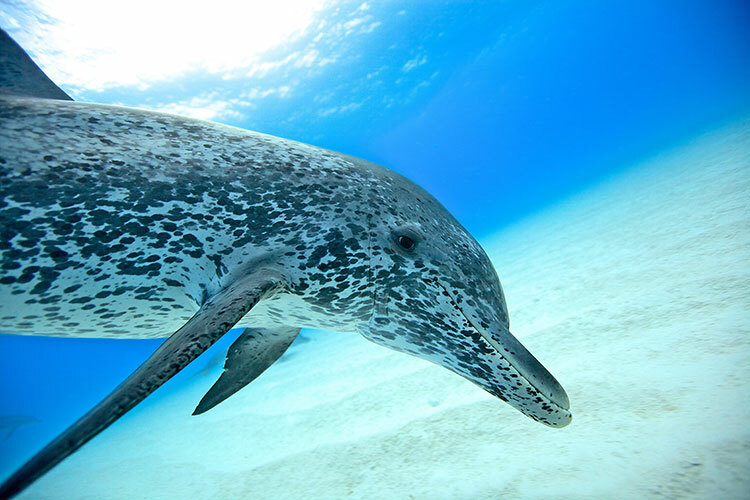 Whoever has the dream to swim with free dolphins, there is only one place to go to: Wildquest on Bimini Islands. There is a place where you can be seen. You matter. The love and acknowledgement by the dolphins who may wink at you as they swim by is perfectly mirrored by the staff who also look you in the eye and radiate love and deep passion for what they do. They know that being with the Dolphins is a transformative experience and they provide the perfect environment for your heart to open and for you to begin to take in that profound unconditional love and acceptance for being JUST WHO YOU ARE. 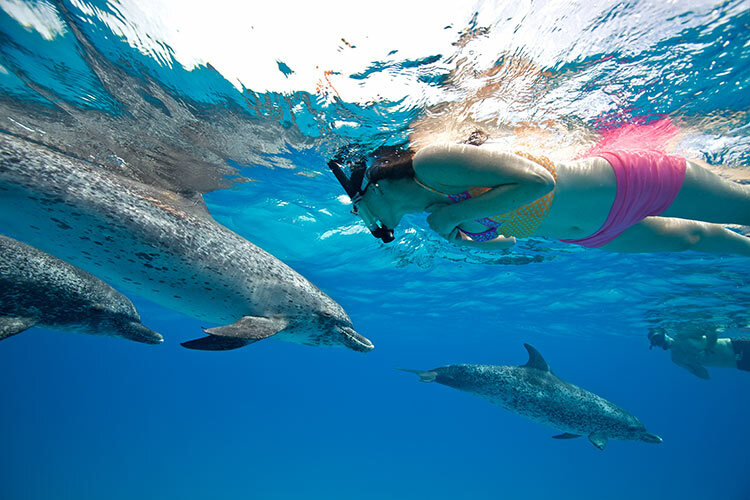 Swimming with the dolphins is a wonderful and magical experience that touches the very core of your being. I absolutely loved the way the Wild Quest team showed respect for the dolphins.... The Wild Quest team looked after all their guests individually and collectively. Excellent food! This adventure in the water with the dolphins is one of the most amazing experiences of my life! The loving staff at Wildquest effortlessly support our daily adventures out on the boat and connections with these beautiful beings. The dolphins, workshops, sailing, jumping off the boat for a swim, being towed behind the boat, Tara's massage, the food, watching the colors of the setting sun over the water back at the retreat center, the camaraderie of the group, it was all a magical experience. Beautiful shades of blue, both the ocean and the sky, balmy breezes. This was my 2nd time at WildQuest. The crew is fantastic, always willing to answer questions or help you learn how to snorkel. DolphinQuest, their 42 foot catamaran is quite comfortable. 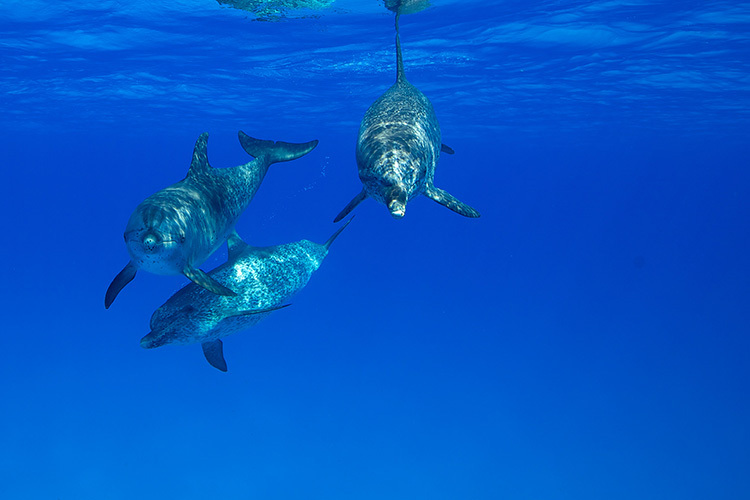 The dolphins – what can I say, they are just amazing to see and swim with in the wild. It's a once in a lifetime experience.